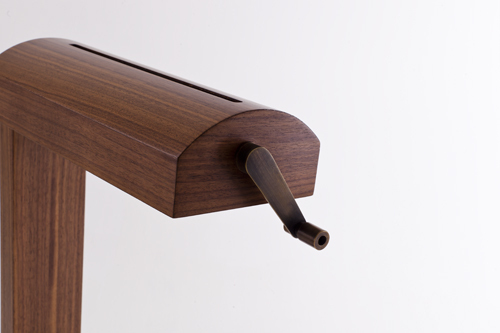 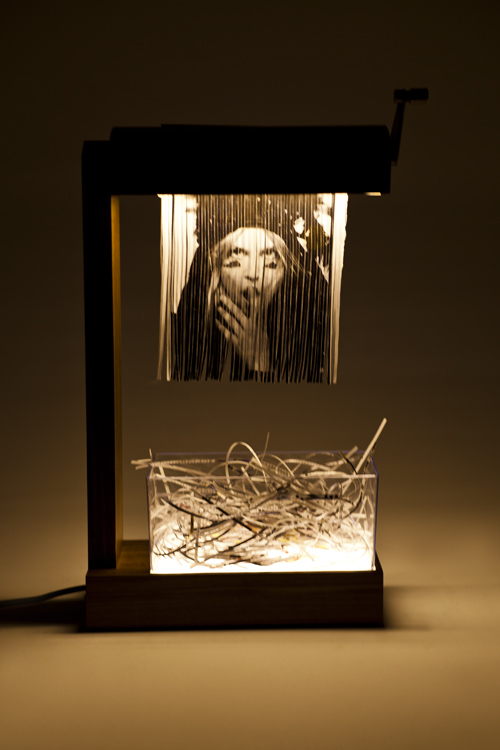 Eliminator is a table lamp which has different light sources in it. 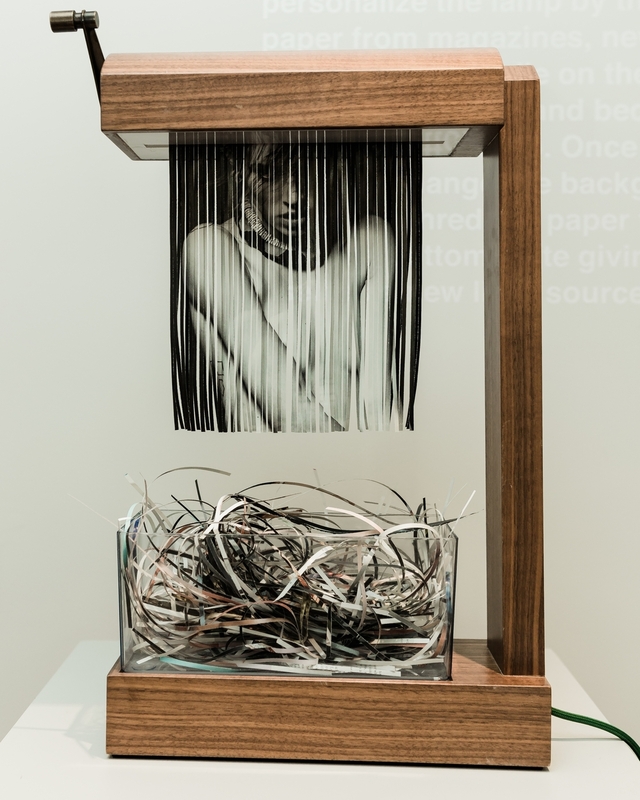 It uses paper as a curtain shade to the light on the top and the shredded papers as the nest of a new light at the bottom. 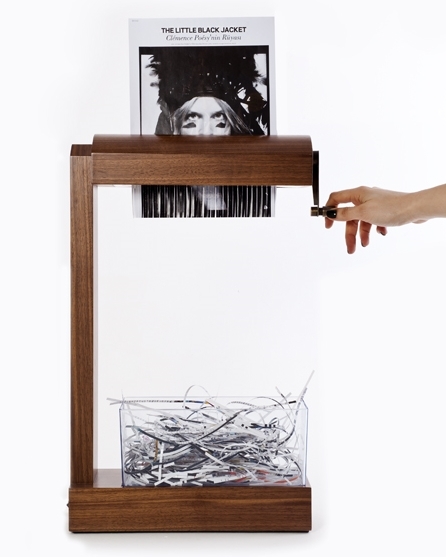 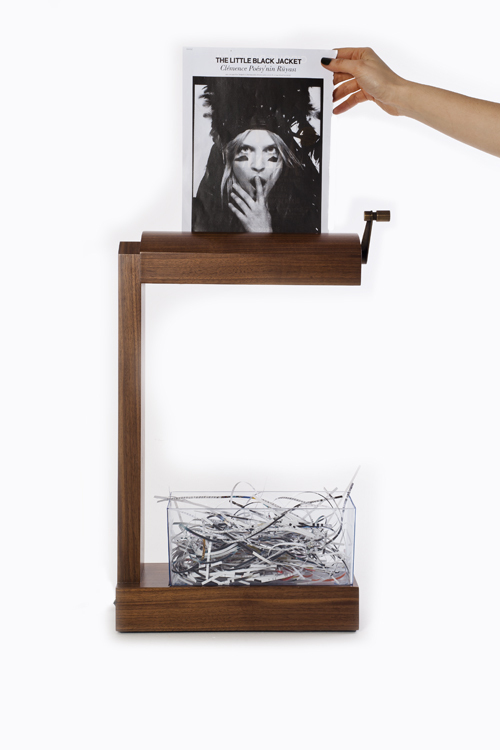 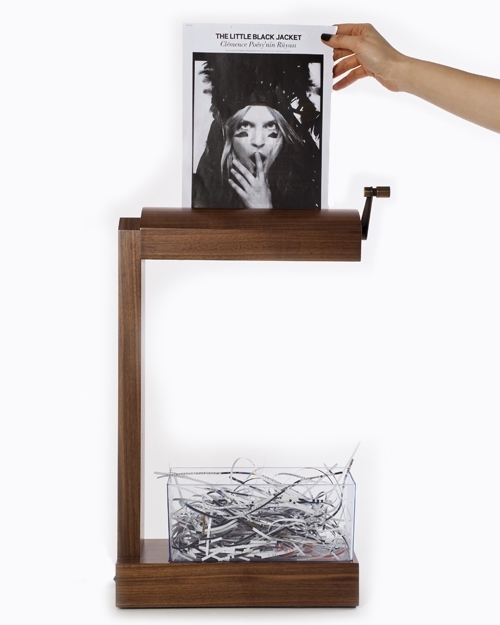 Users can personalize the lamp by their choice of paper from magazines, newspapers, etc. 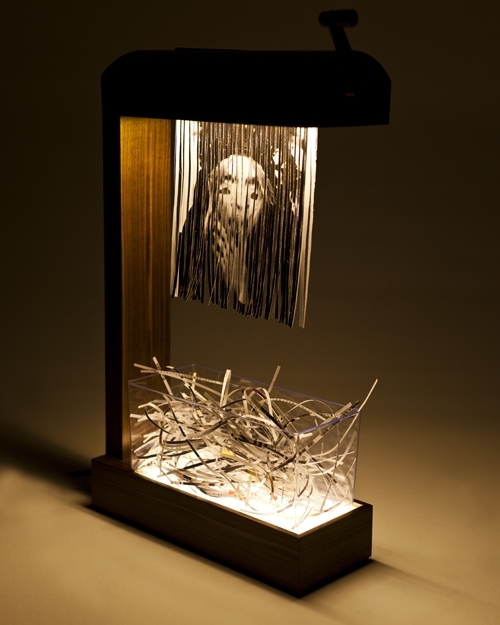 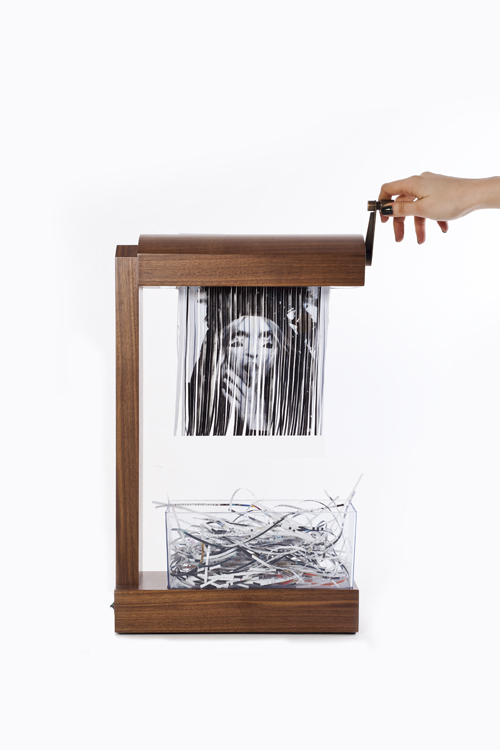 By using the handle on the side, the paper is shredded and becomes a curtain for the lamp. 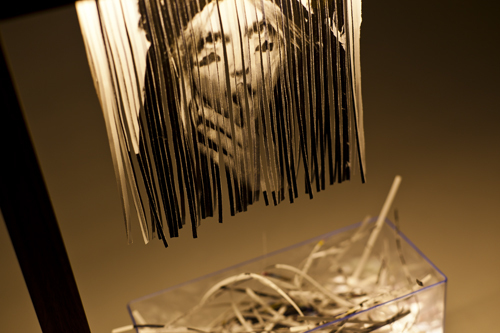 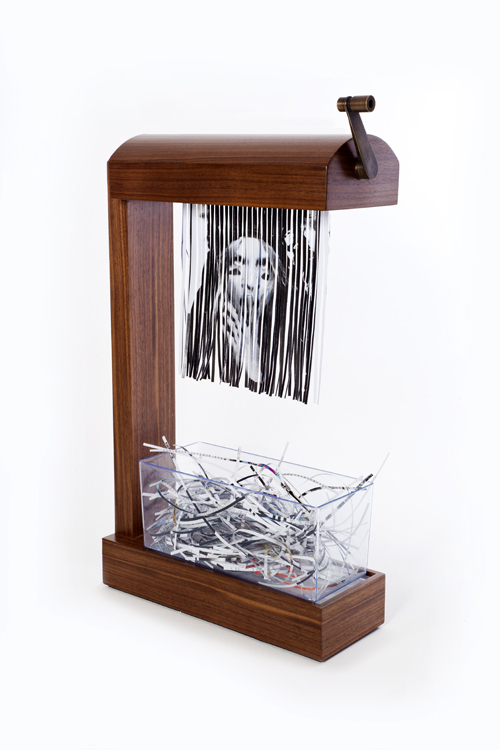 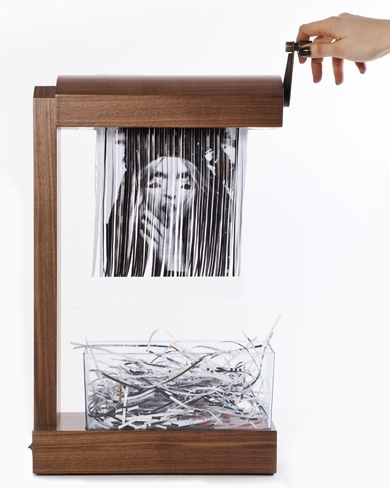 Once the user wants to change the background of their lamp, the shredded paper falls down onto the bottom plate giving rebirth to itself as a new light source.